It's 10 p.m., and you just answered an email from an executive. Are you entitled to time-and-a-half? Of the many questions agencies must grapple with now that the Obama Administration has granted overtime pay to those making less than $47,476 a year — is it cheaper to raise everyone’s salary above the threshold? Will clients foot the bill? How much is this going to cost me? — there is one that cannot be answered by a calculator. In an always-on world, what exactly counts as overtime? It’s been 50 years since overtime pay was a significant factor in American paychecks. Back then, 60% of Americans qualified for overtime compensation, a number that’s dipped to a mere 8% today. In the interim, the expectations of American working life have radically shifted. No longer does leaving the office mark the difference between work and leisure hours. We answer emails at 10 p.m., check business social feeds on Saturday, dial in to conference calls on the morning drive to daycare. Sometimes, we spend half our weekend en route to Cannes, watching movies or sleeping on the plane. Which, if any, of those scenarios would count as overtime if they occurred outside a 40-hour workweek? It’s a question that agency managers and junior employees are suddenly having to ask, and will be asking a lot more once the rules take effect Dec. 1. "Our biggest question is about accessibility to work files and emails outside of 'normal business hours,’" said David Bohan, Chairman of Bohan Advertising in Nashville, Tennessee. "Will we be required to limit access to only 40 hours per week?" On the surface, the answer appears straightforward. "The rule has always been that if you suffer or permit someone to work, let alone if you tell them they have to work, then it’s work," said Ross Eisenbrey, VP of the Economic Policy Institute, a longtime advocate for updating the labor regulations. "And if it’s more than 40 hours in a week, it’s overtime. Period." Ask an agency human resources manager, and she will give you a similar answer. "If the employee is answering an email or call, or working on a deck, they are unquestionably working, and they should be compensated for this," said Cindy Augustine, global chief talent officer at FCB, via email. In practice, things become a bit more complicated. 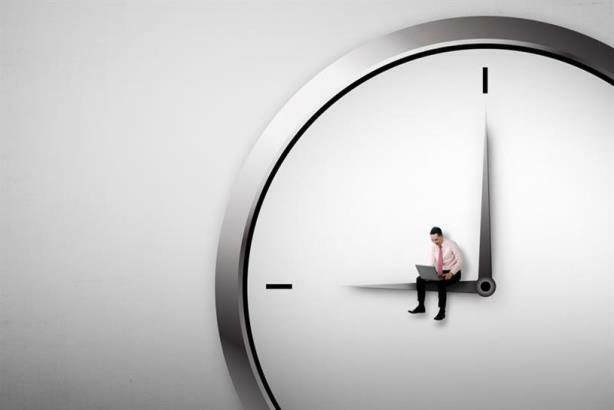 For one, though the burden of reporting hours worked technically falls to the employer, only the employee truly knows how much time he’s working, particularly outside the office. "The employees should be tracking the time they work — both for themselves and for the appropriate billing of our clients," said Augustine. And because employees who qualify for overtime are likely to be junior, they may be tempted to let such working moments go unreported to be seen as a team player. "You have to be able to trust your team to report their hours," Eisenbrey said. Adding to the problem is that most employees, junior or otherwise, tend to be unaware of the finer points of labor laws. "If you ask 10 people on the street whether someone paid a salary is entitled to overtime, nine of them will say, ‘No, salaried workers by definition don’t get paid for overtime,’ " Eisenbrey said. In truth, all employees — regardless of their salary — are entitled to overtime pay if their jobs don’t belong to one of three exempt categories: administrative, executive, or professional. And while most agency employees making more than the current minimum of $23,660 (where it has stood since 2004) belong to one of these three categories, many do not. "I would guess some agencies are cheating right now, misclassifying people as exempt who, even though they’re making more than the current exempt threshold, don’t really perform exempt duties," Eisenbrey said. "If someone is making $30,000 a year, they’re probably not an executive, not managing a department, or supervising other employees. They’re not professionals because they don’t have a professional degree. So what is it? What makes them exempt at all?" Yet because they are unaware of their rights, such employees rarely argue the classification they’ve been handed. In other countries, confusion between work and leisure time has led to some radical solutions. "Some German companies shut off their servers and close people’s business phone accounts after certain hours so they don’t work overtime," Eisenbrey said. Of course, agencies are unlikely to complain if they end up paying less overtime than they technically should be. Margins are already razor thin, and if employees are willing to let some extra hours slide, who are they to complain? Augustine notes that work-life integration cuts both ways. "When [employees] need to take care of a personal errand, going to the doctor — making sure their child got home from school all right — no one is thinking twice about that," she said. "In that respect, life and work on a day-to-day basis is intertwined, fluid, and continuously so." But even agency owners — particularly those who don’t have large human resources departments at their disposal — could find that the confusion over what to pay interrupts their businesses even when it doesn’t have to. One of the biggest complaints about the new overtime rules since they were proposed in November is they would prevent agencies from sending young employees to conferences or shoots, multi-day affairs that require long hours but provide invaluable lessons about life in the industry. "Just a couple weeks ago, we sent a young person on a TV shoot," said Sharon Napier, founder and CEO of Partners + Napier, a creative shop with offices in New York City, San Francisco, and Rochester. "She wasn’t billable at all. We did it because we really, really wanted her to learn everything about it. We paid for her to be there; we paid for her to travel." "In the new scenario, we would now have to pay her overtime," she said. "So it’s cost over cost over cost." But not every minute an employee travels for work or to participate in a training is necessarily covered by overtime. "There are very complicated rules for counting travel time," Eisenbrey said. For example, if an employee who normally works 9-to-5 boards a five-hour flight at 4 p.m., the employer only has to pay for the first hour of the flight. And training time must be compensated only if it counts toward performing one’s current job; training that helps prepare an employee for a future position is exempt. (See the Department of Labor’s Field Operations Handbook for a full explanation of the rules. Or go to Nolo.com for plain-language explanations). In the end, the confusion over the rules could be enough to persuade many employers simply to bite the bullet and raise their employees’ pay above $47,476. "If they’re really working a lot of overtime," Eisenbrey said, "it might be worth it to the employer just to raise them to the threshold and then not worry about keeping track." Whether every agency can withstand the hit to the bottom line is yet one more question for which they can’t yet calculate an answer.